What is truly terrifying? It changes from person to person. There are some universal properties to fear, sure, but what really chills people down to their core? If you read my Preparing for Scaring series, you get an idea what strikes me as elements of a truly dreadful story: isolation, forced physical change, the familiar made strange. And while I know that these scare me, do they scare others? I'm sure to an extent, but does that mean I should write about them? When I set out to start a horror story, I had originally planned on telling a procedural crime drama in which the criminal at large is actually some sort of human-like creature just out being itself (such as a vampire, a werewolf, or something similar). I know, it wasn't that special of a premise, but it's what I wanted to do, because it's what I thought people wanted to read. Vampires and werewolves are on their way out of the pop-culture spotlight, so it's likely that writing a story about one of those would hurt my story's reception as much as potentially help it. So then why not ghosts? They have long been the subject of horror stories, and successful ones at that. 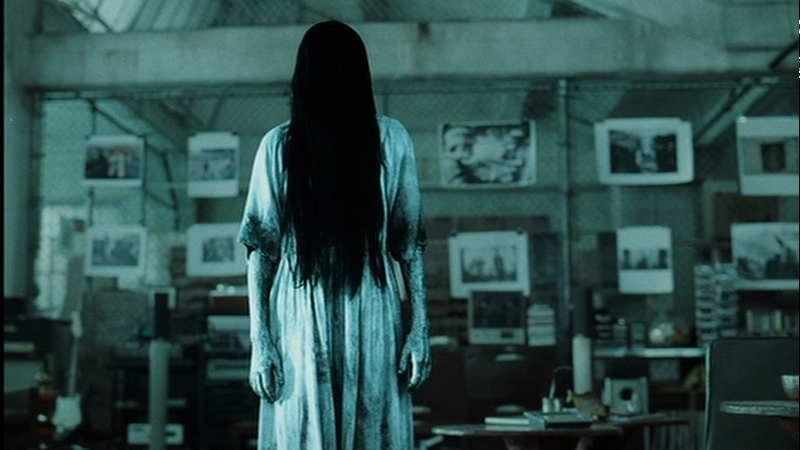 The Ring, pictured above, was one of those stories that I remember people talking about long after having seen it. But, if I were to be honest with myself, these things are not inherently scary to me. They're close, but not on their own. A ghost story often comes across as silly to me unless it were handled just right (which I don't think I am capable of doing, at least not yet). And vampires and werewolves are something that seems more akin to teen urban fantasy fiction than adult-themed horror/suspense. And so I return to the question, then; what scares me? It's no question to anybody ho has been following my blog or is familiar with me personally what sort of horror stories I find the most compelling. The image above is from an independent video game called Stairs, which takes three real-life missing-persons cases and likes them together with a supernatural thread. Of all the horror games I've been watching on Youtube since late September this year, this one stands out to me as one of the most chilling, sending shivers down my spine as I simply remember certain parts of it. I like the supernatural in my horror, but not an overbearing amount of it (at least not at first). I like the characters to be grounded, flawed, real-world (as they should be in almost any dramatic story), but I like the pursuing force to be beyond their control, beyond even their ability to grasp what exactly it is. I've said before that I'm not a fan of ghost stories (under most circumstances) but rather, my preferred type of horror/suspense comes from a strong blend with science fiction. Alien, 28 Days Later, The Thing, these are the horror films I am the most in love with, as they combine elements of my two favorite genres. Give me a monster and I'm a happy camper. But there's more than just that, too. Horror needs to be intimate and personal. It needs to resonate on a supremely human level, to say to the audience "I'm going to show you what you know is there, even if you deny it". It needs to wrestle with concepts that most other stories shy away from, ideas like the dark thoughts of even normal people, let alone of those who are a few screws loose, so to speak. Abuse, obsession, rage, revenge, these are all things that can be tightly wound into a horror story, creating a spiraling narrative that doesn't only shock and terrify audiences, but also leaves them peeling back layers as they examine meaning behind the imagery. A few months ago, I was playing a tabletop RPG with some friends of mine, and I knew I wanted it to be a chilling and scary one-shot (as in, a game that lasted for only one session, likely between 2 and 5 hours long). I don't usually run horror games, because oftentimes trying to scare two, three or four others while also playing a game is quite difficult. But I'd say that, with this particular game, it seemed a success. You can read the premise of the game in a later blog post. Anyways, one of my closest friends, labeled the game as 'cerebral'. It didn't match what they expected from a normal horror story, as in there weren't zombies, werewolves, vampires, excessive amounts of blood and gore, or a giant monster chasing them down small hallways. Instead, it was what I mentioned above; intimate. Personal. That's what I want from a horror story, specifically, what I want to bring to the horror genre. Can I do a story that has all of that? That is intimately human and personal, but also contains elements of science fiction? Can I plague human characters with the horrors of both their deepest, subconscious thoughts as well as a supernatural monster from science-fiction?